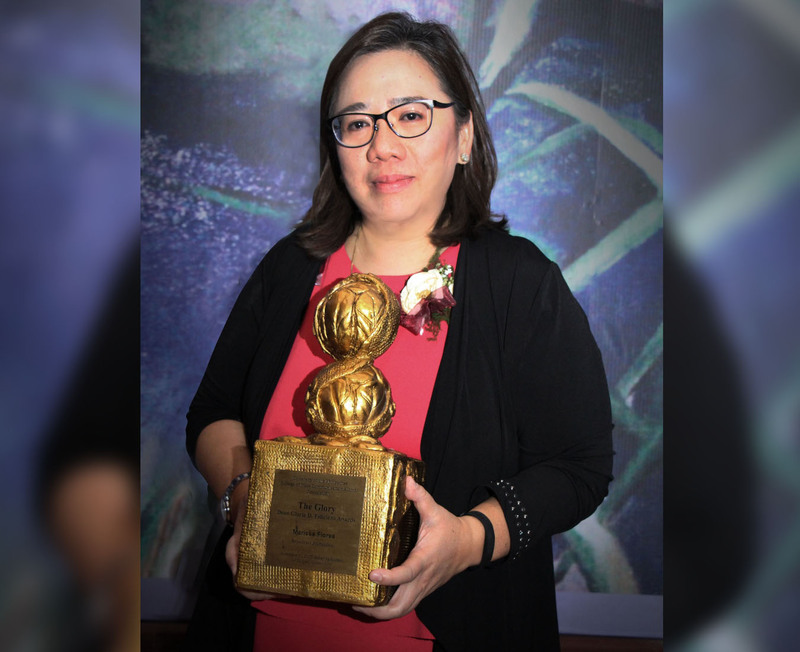 For her work in the field of broadcast journalism, GMA Network’s Senior Vice President for News and Public Affairs Marissa Flores was recognized by the University of the Philippines College of Mass Communications (UP CMC) at the first-ever Glory Awards held last November 11. Flores, who finished a degree in Bachelor of Arts in Communications Major in Journalism, is credited for the comprehensive growth of GMA Network’s News and Public Affairs organization that currently airs more than 30 regular programs, as well as numerous public affairs specials. GMA News pillar Jessica Soho, documentarist/anchor Kara David, and investigative journalist Malou Mangahas were also awarded Glory medals of distinction. Under Flores’ leadership, GMA News and Public Affairs has earned the distinction of being the most awarded broadcast news organization in the country. Among other local and international recognitions, it has won for the Philippines four George Foster Peabody awards to date — with the latest award coming for the Network’s coverage of super-typhoon Yolanda. The Peabody award is widely recognized as the broadcast equivalent of the Pulitzer Prize for print and online. Flores, who concurrently serves as GMA News Online’s Executive Vice President for Editorial, also helped accomplish GMA News Online’s record-breaking audience engagement of 109.8 million page views for a three-day period during the May 2016 National Elections. The Glory Awards was organized in honor of UP CMC’s first dean, the late Dr. Gloria Feliciano. The awardees—all alumni of UP CMC—were chosen for their outstanding work and influence in broadcasting, journalism, communication research and film, as well as allied communications fields such as development communications, marketing communications, public relations, social advocacy and the performing arts.